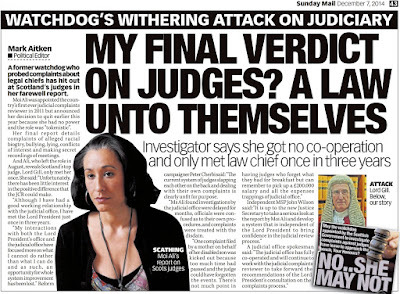 Lawyer copied details of rival law firm’s bid to win £500K public contract. 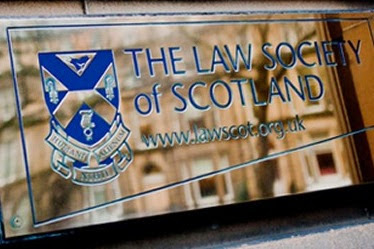 A SOLICITOR from the Edinburgh based law firm Dundas & Wilson has admitted stealing details from rival law firm Brodies LLP in order to win a £500,000 public contract involving five Scottish local authorities who proposed to share services for waste management and recycling. 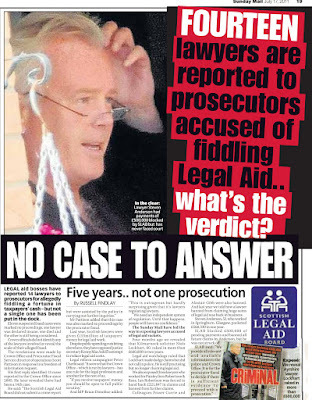 Lawyer Keith Armstrong (41) who resigned from Dundas & Wilson in July 2012 after representatives of Renfrewshire Council contacted the law firm over the similarity of details contained in competitive bids, admitted in evidence to the Scottish Solicitors Discipline Tribunal he stole details from rival law firm Brodies LLP in order to help win the contract. 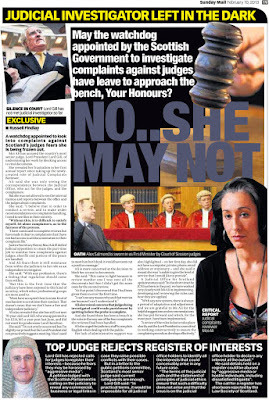 It transpired from the tribunal hearing that documents which Armstrong had ‘acquired’ came from papers held by his partner, Kate Mayor (36) who was at the time business development manager for Brodies LLP. 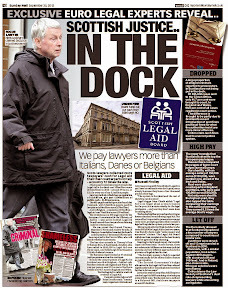 A TOP lawyer stole secret files from a rival in a plot to win a £500,000 contract. 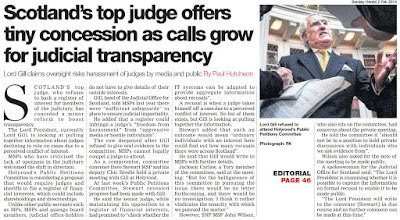 Dundas & Wilson partner Keith Armstrong. 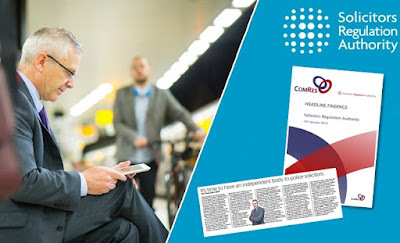 41. copied a draft bid belonging to blue chip competitor Brodies. 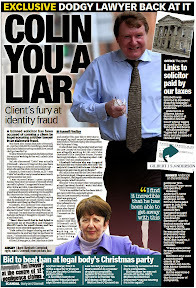 He admitted swiping the document from under the nose of innocent missus Kate Mayor, 36 - then Brodies business development manager before “fraudulently and deceitfully” using it in his own firm's tender. 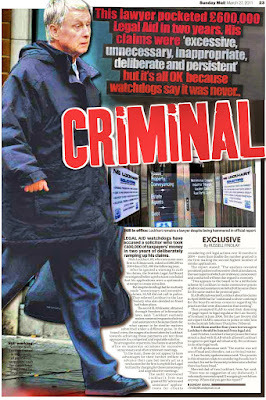 A source said yesterday: "For a partner to commit what amounts to industrial espionage is unprecedented. 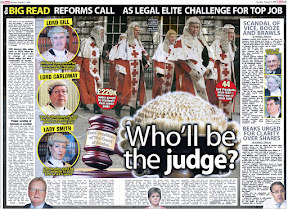 The scandal has rocked the legal establishment." 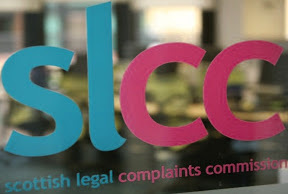 The Edinburgh companies with combined turnover of £100million were battling for the contract from North Lanarkshire. 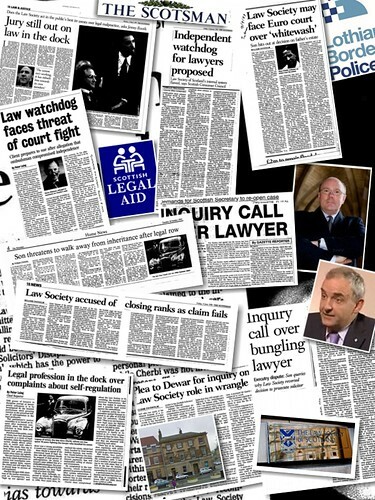 North Ayrshire. East Dunbartonshire. 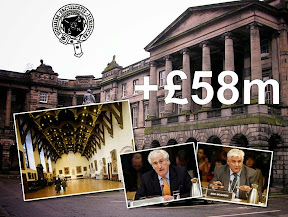 East Renfrewshire and Renfrewshire councils in 2012. 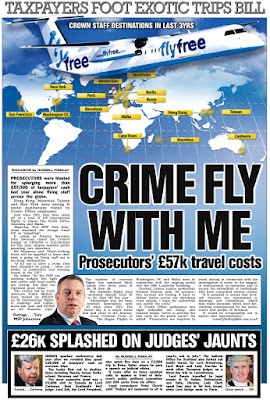 Armstrong was rumbled after officials noticed 27 parts of the two rival bids were identical. 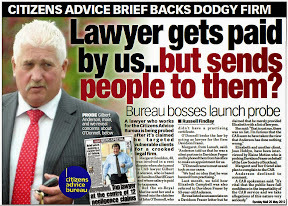 He owned up to his bosses and quit before the contract was eventually won by Pinsent Masons. 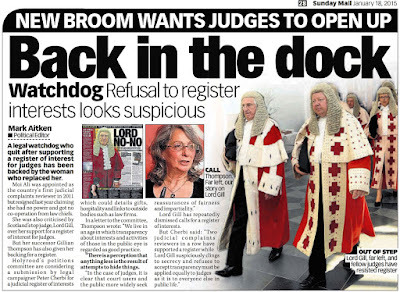 Armstrong, right, of Edinburgh. 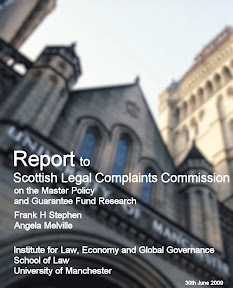 was struck off following a probe by the Scottish Solicitors' Discipline Tribunal. 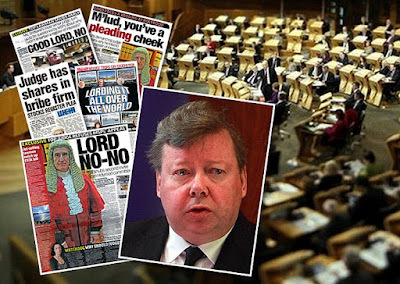 Chairman Alan McDonald ruled: "His conduct is so grave it is very likely to bring the profession into disrepute." 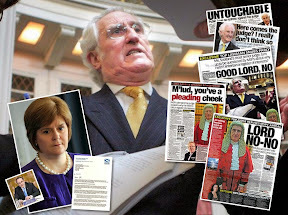 The divorcee, now working for power giant SSE. 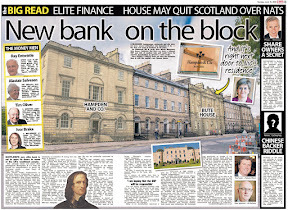 last night refused to comment at the £615.000 home he shares with Ms Mayor in Morningside. 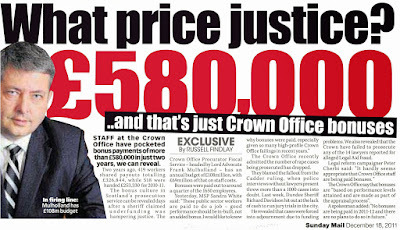 Brodies also declined to comment. 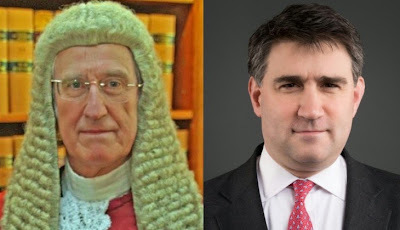 Tribunal heard lawyer ‘copied’ terms of bid from competitor. 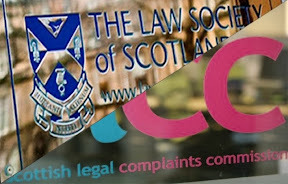 On or around 22 May 2012 a representative of RC (Renfrewshire Council) contacted D&W (Dundas & Wilson), noting that some concern had arisen in respect of certain similarities between the Tenders submitted by D&W and that submitted by another Tenderer. 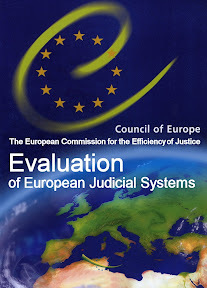 RC had compiled a comparison document setting out the relevant text of concern and by email of 22 May 2012 invited D&W to attend a meeting on 24 May 2012 to discuss matters. 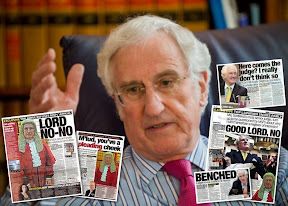 The other Tenderer, namely Firm X (Brodies LLP), was also invited to a similar meeting on that date. 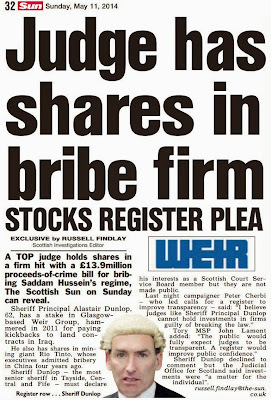 D&W immediately commenced an internal investigation. 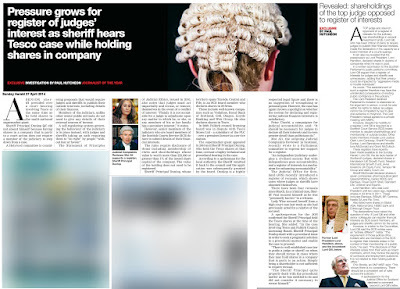 In the course of said investigation the Respondent admitted to D&W that he had been responsible for the text that had been highlighted and that he had plagiarised these from another Tender document for the project belonging to Firm X. 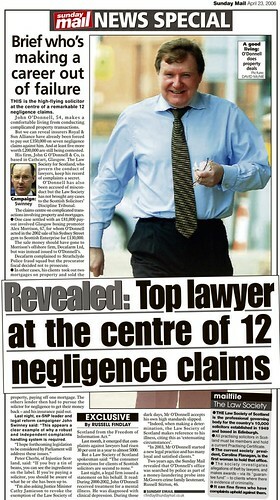 In particular the Respondent accepted that on 28 or 29 April 2012 at his dwelling house, without the permission or consent of his partner, Ms B, who was at the time a Business Development Manager at Firm X, he accessed the Tender as prepared by Firm X for the project, copied parts of said draft Tender and made use of that information when completing D&W’s Tender for the project. 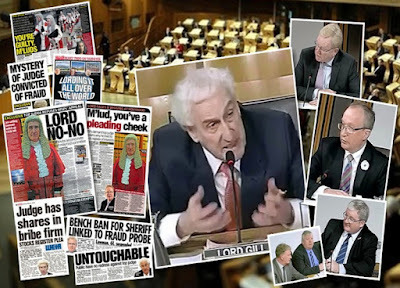 Amstrong was represented at the hearing by William Macreath of the Legal Defence Union & Levy McRae, the Law Society of Scotland was represented by Elaine Motion QC. 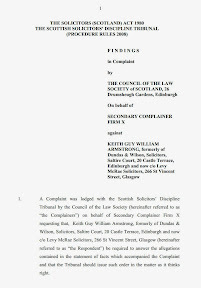 Find the Respondent liable in the expenses of the Complainers and of the Tribunal including expenses of the Clerk, chargeable on a time and line basis as the same may be taxed by the Auditor of the Court of Session on an agent and client, client paying basis in terms of Chapter Three of the last published Law Society’s Table of Fees for general business with a unit rate of £14.00; and Direct that publicity will be given to this decision and that this publicity should include the name of the Respondent but will not include the name of Firm X or the Respondent’s current employer or otherwise identify them. 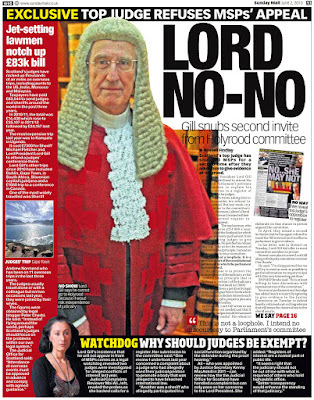 Top judge Lord Gill steps aside from case due to son’s involvement. 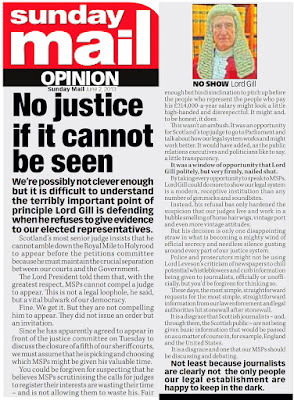 SCOTLAND’S top judge, the Lord President Lord Brian Gill has been forced to stand aside from hearing an unidentified case in the Court of Session because “ a relative” - who turned out to be one of Lord Gill’s sons, represented a party involved in the court case. 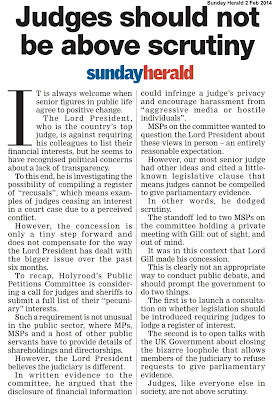 The move by Lord Gill comes after a deal was reached with MSPs to publish reasons for judges standing aside in cases - reasons which have for the main, remained secret and unrecorded until the Scottish Parliament’s Petitions Committee began an investigation into proposals to create a full register of judicial interests, as called for in Petition PE1458: Register of Interests for members of Scotland's judiciary. 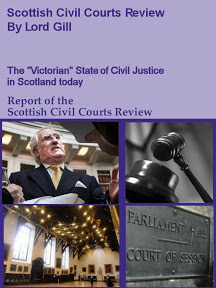 However, the first ever recoded recusal of the country’s top judge published by the Judiciary of Scotland in the new recusal list available here: Judicial Recusals, vaguely describes Lord Gill’s withdrawal from the case as due to a “Relative of Senator acts for the respondent” - whereas in fact it can now be revealed the “relative” turned out to be the Lord President’s son, Brian Gill QC. 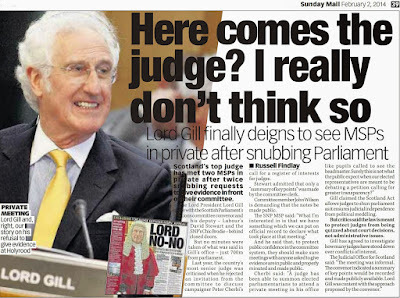 At first, the Judicial Office refused to confirm the identity of Lord Gill’s “relative”. 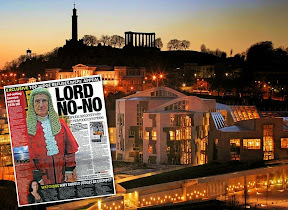 The identity of Lord Gill’s son, Brian Gill QC - referred to as a “relative” in the official version was later confirmed by the Judicial Office but no details of the case being heard in Scotland’s top court which prompted the recusal were released. 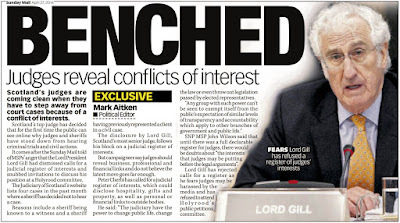 In February 2014 the Lord President and Lord Justice General, Lord Gill gave an undertaking to make publicly available information about cases in which a judge or sheriff formally recuses him or herself from hearing a case. 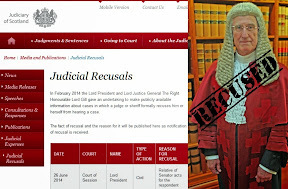 MPs were promised the fact of recusal and the reason for it will be published by the Judicial Office as notification of recusal is received. 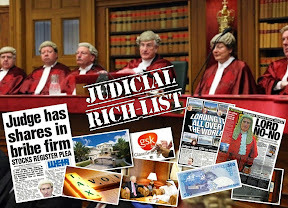 However,it is noticeable from the current published list of judicial recusals there has not been one single recusal by a member of the judiciary on financial related grounds. 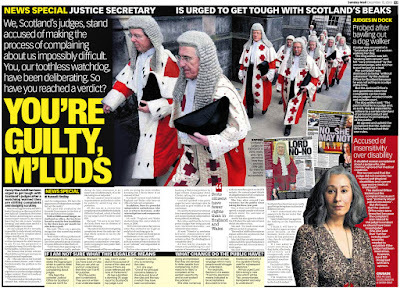 The lack of recusals by judges on financial related matters comes even though a considerable number of cases are in the Scottish courts where matters such as personal investments, creative finances & property ownership of members of the judiciary would certainly prompt cause for concerns if they were made public - some of which have already been highlighted by the media in previous reports. 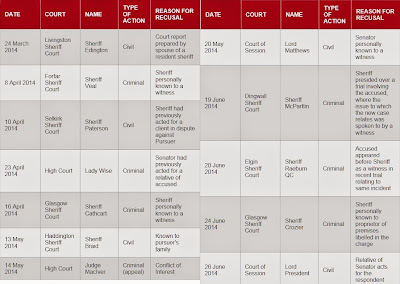 24 March 2014 Livingston Sheriff Court Sheriff Edington Civil Court report prepared by spouse of a resident sheriff. 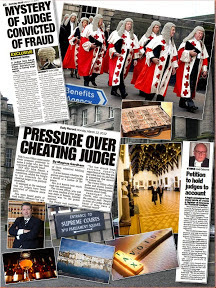 8 April 2014 Forfar Sheriff Court Sheriff Veal Criminal Sheriff personally known to a witness. 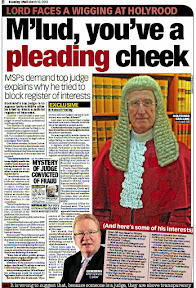 10 April 2014 Selkirk Sheriff Court Sheriff Paterson Civil Sheriff had previously acted for a client in dispute against Pursuer. 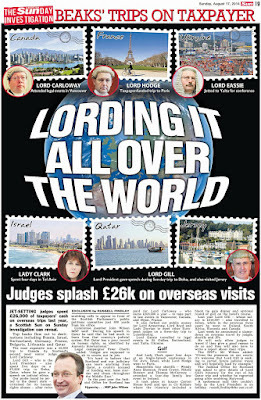 23 April 2014 High Court Lady Wise Criminal Senator had previously acted for a relative of accused. 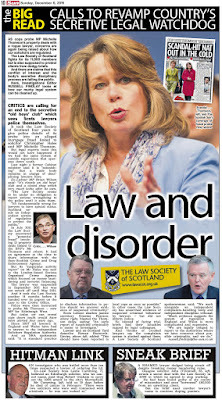 16 April 2014 Glasgow Sheriff Court Sheriff Cathcart Criminal Sheriff personally known to a witness. 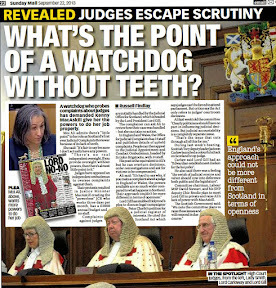 13 May 2014 Haddington Sheriff Court Sheriff Braid Civil Known to pursuer's family. 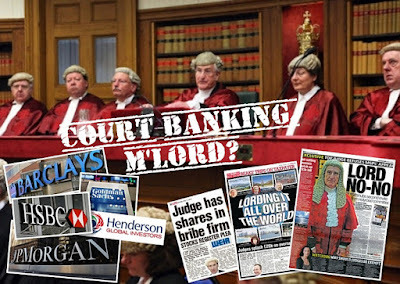 14 May 2014 High Court Judge MacIver Criminal (appeal) Conflict of Interest. 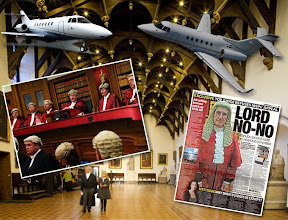 20 May 2014 Court of Session Lord Matthews Civil Senator personally known to a witness. 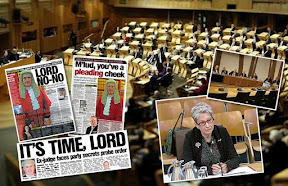 19 June 2014 Dingwall Sheriff Court Sheriff McPartlin Criminal Sheriff presided over a trial involving the accused, where the issue to which the new case relates was spoken to by a witness. 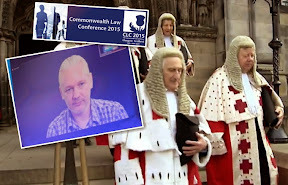 20 June 2014 Elgin Sheriff Court Sheriff Raeburn QC Criminal Accused appeared before Sheriff as a witness in recent trial relating to same incident. 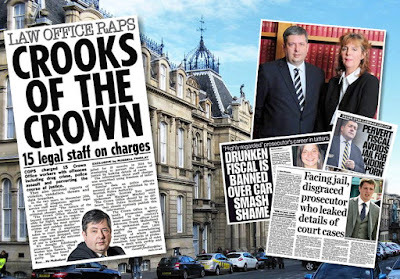 24 June 2014 Glasgow Sheriff Court Sheriff Crozier Criminal Sheriff personally known to proprietor of premises libelled in the charge. 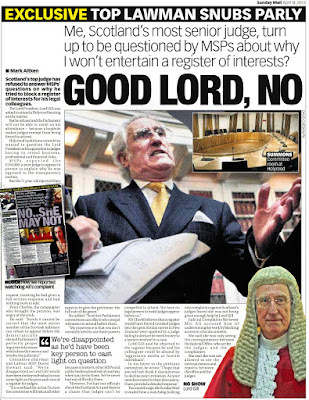 26 June 2014 Court of Session Lord President Civil Relative of Senator acts for the respondent. 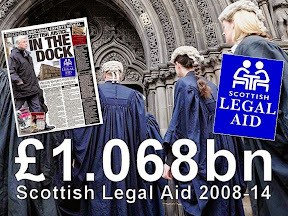 With no recusals on financial grounds - due to judges refusing to disclose hidden investments, secret wealth, work for law firms & offshore tax trusts among other interests … the current way the recusal data is presented is worth little to the public or court users and does not promote increased transparency of Scotland’s judiciary.